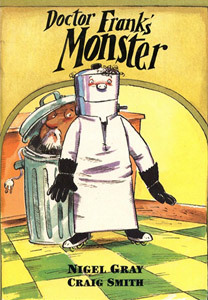 This book has been re-issued in a new edition by CSI Books under the title, Doctor Frankenstein’s Other Monster. What happens when Doctor Frankenstein sets out to make himself a son, but makes a little monster by mistake? A story about how hard it is for a child to make friends when you are perceived as being different or unusual.